Lying flat out on the snow, feet slipping out from under me, I’m flopping like a fish out of water. Cross country skiing is not my sport. I’m also laughing which is making the situation worse, and my well-meaning boyfriend offers advice: “lift yourself straight up with your abs,” he says. Straight up. From the ground. I’m no superhero and, surprise, it doesn’t work. I resort to snapping off the skis, standing up and starting the whole process over again. Today we are embarking on our annual winter weekend away, an after-the-holidays attempt to embrace the weather we hate and become outdoor adventure converts. 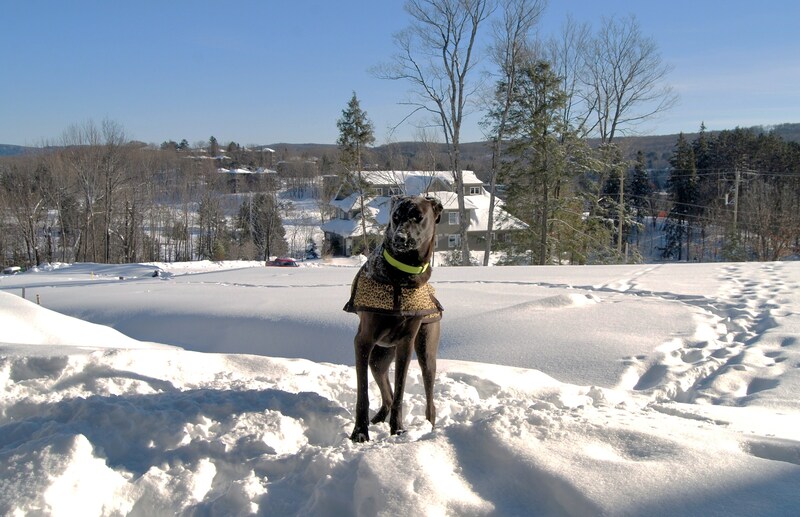 We’ve chosen three days away at the pet-friendly Deerhurst Resort in Huntsville, Ontario, and we head into the chill winter air bundled in heavy coats, toques, long underwear and optimistic attitudes. At Deerhurst Resort cross-country skiing (including ski rental), skating, snowshoeing and access to a large indoor pool and hot tub are all included with the ‘resort fee’ charged per room, so we’re taking full advantage and started with skiing. 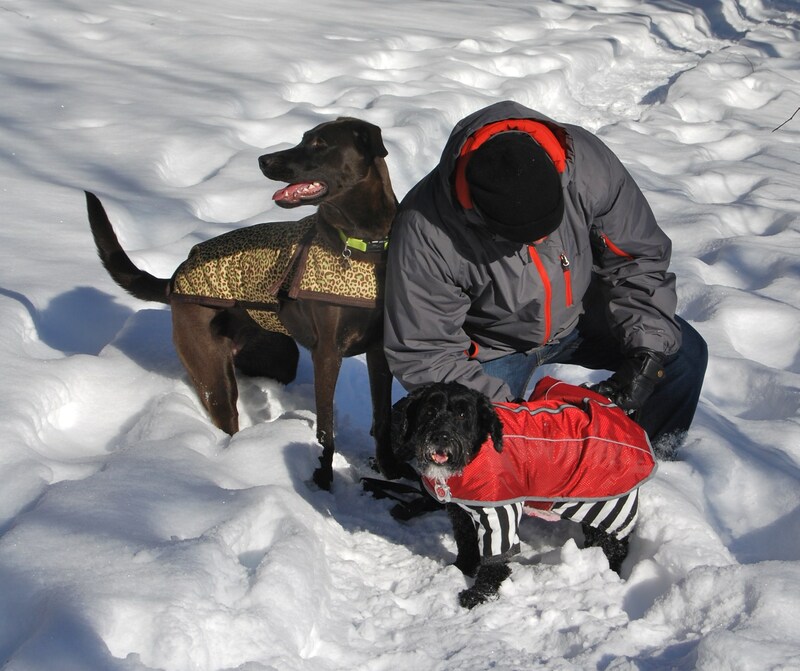 When we hatched the idea, I pictured us gliding along on cross-country skis at a pace the dogs would have to work to keep up with. Yes, we brought his lab and my crazy terrier. Instead, both canines are far ahead, running back every two minutes to find out why one or both of us are lying on the ground. Technically they’re not supposed to be on the ski trails (and we’re not supposed to be skiing on the snowmobile trails but don’t know that yet), and the dogs are to be kept on leash (can you imagine?) but no one is noticing our indiscretions. It’s Monday afternoon, off season, when it’s quiet here and cheaper. Mid-week winter stays are great value, especially considering the activities available. 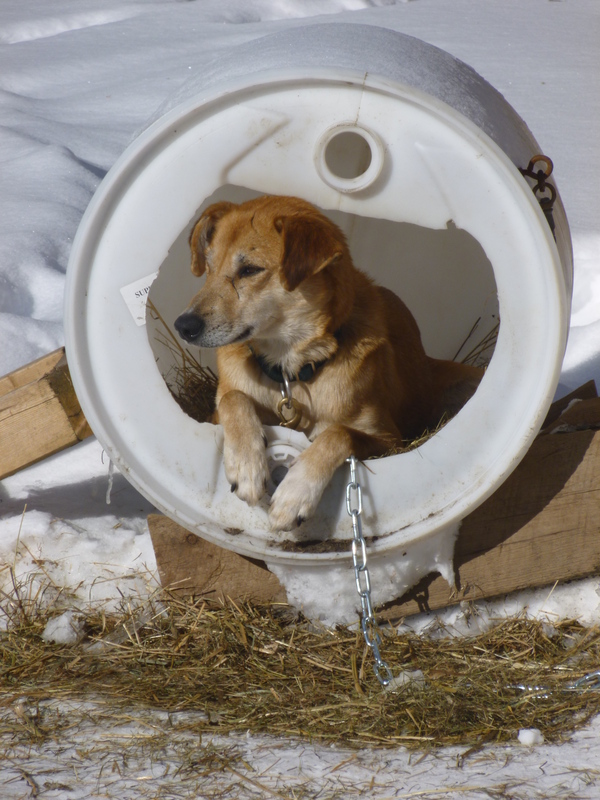 Dog sledding is another option for an extra charge (which we don’t do), and the same outfitter that looks after the dogs in winter also looks after the horse barn all year, so trail riding is possible (which we do – check out www.horsetrotting.net). All the sled dogs sit in a front paddock tied to plastic barrel shelters waiting for their turn to run first-timers along the golf course path the horses have made earlier in the day. because up to two dogs can stay in main building for a one-time charge of $25 each. After skiing (attempting), riding, hot tubing, hiking and eating, our snow-covered romantic adventure ends with a morning spin on the pond. 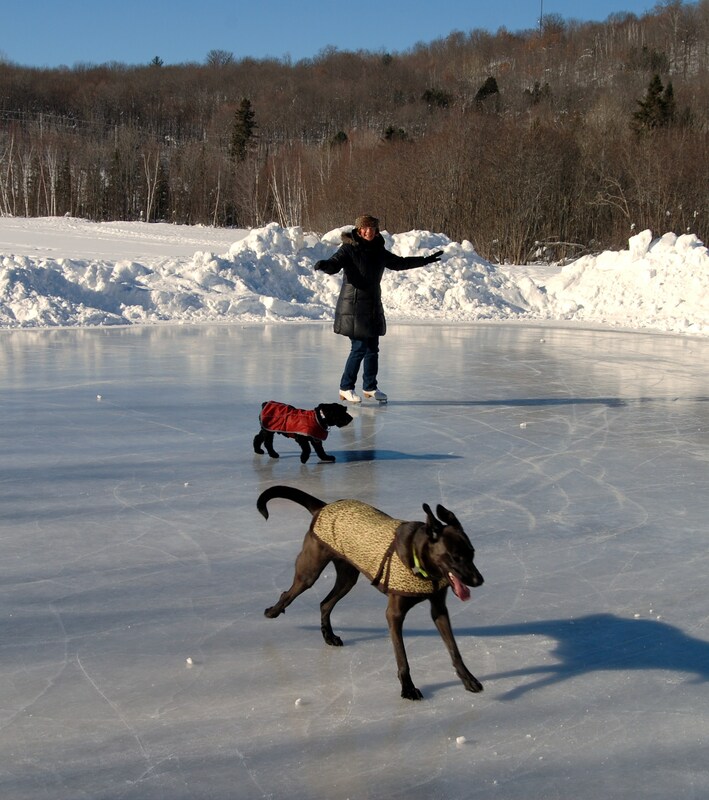 We strapped on our skates (we brought our own, but rentals are included – along with snowshoes – as part of the resort fee) and cautiously gain our footing on the surprisingly smooth ‘pond’ rink, the site of pond hockey tournaments every weekend in January. We have the space to ourselves, and fortunately are more skilled at this sport than skiing. (Thank you years of childhood lessons). Again, we are the only ones here, so the dogs chase pucks across the ice, gliding into each other and rolling in the snow. In the distance, I hear the barking of sled dogs waking up in the morning and start to speculate about our next winter adventure: cross-country dog sledding? It can’t be any harder than cross-country skiing, right?